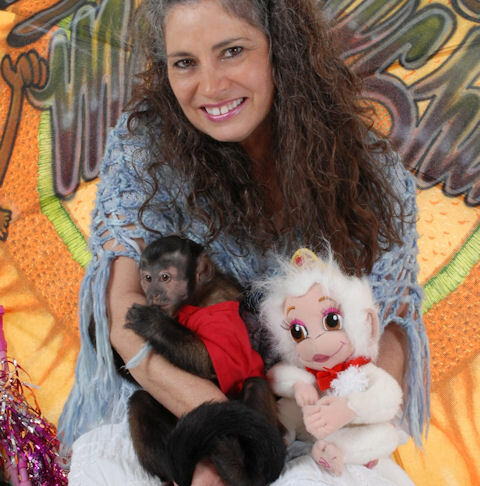 When I received my first monkey, I was so blessed to have wonderful information passed on to me by many fellow monkey caregiver. But when one of my monkeys became ill, I was in shock. Of course, I asked myself the question, “How did this happen so fast? I had been told that it would be this way but I was absolutely not prepared for the speed at which it seemed to come upon her. Monkeys do not wish for anyone to know when they are not feeling well. They mask their symptoms of illness. The monkeys that are here in the United States are mostly born into captivity but this does not change their natural way of reacting to illness. They will choose to show signs of illness very late, which can be very nerve racking to their owners.